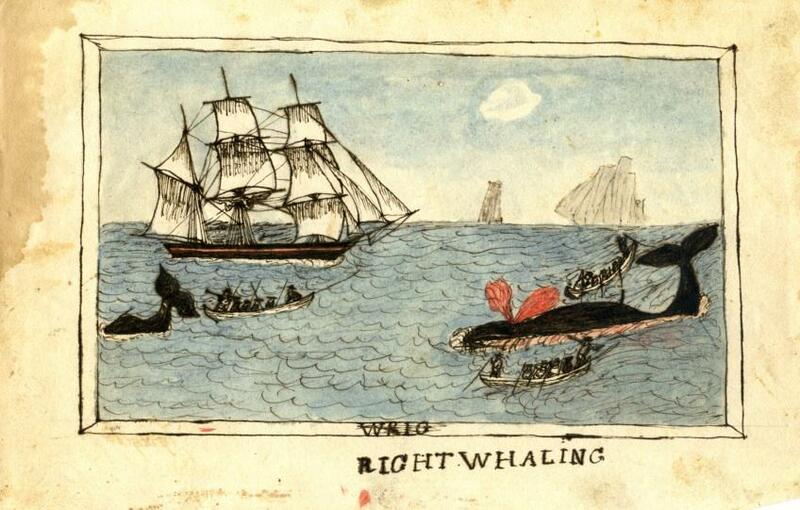 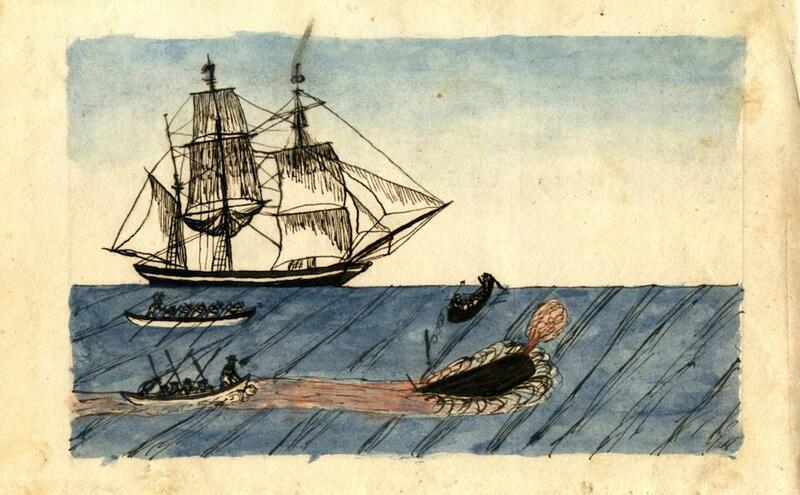 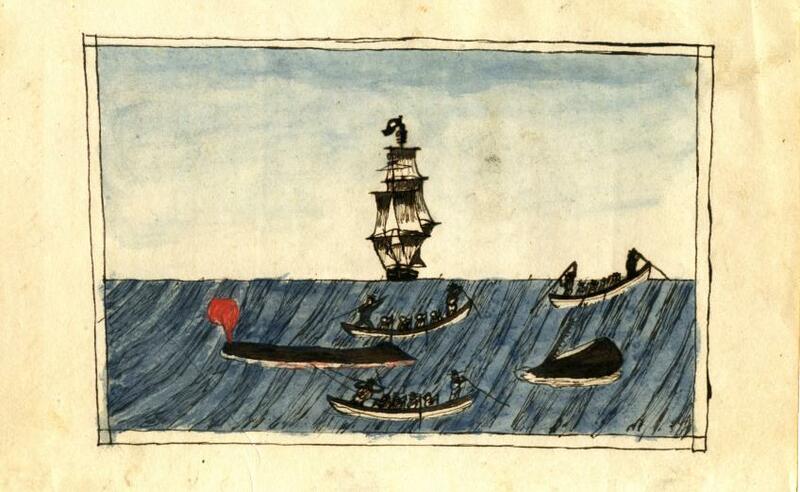 History of whaling: Whaling art found in a logbook. 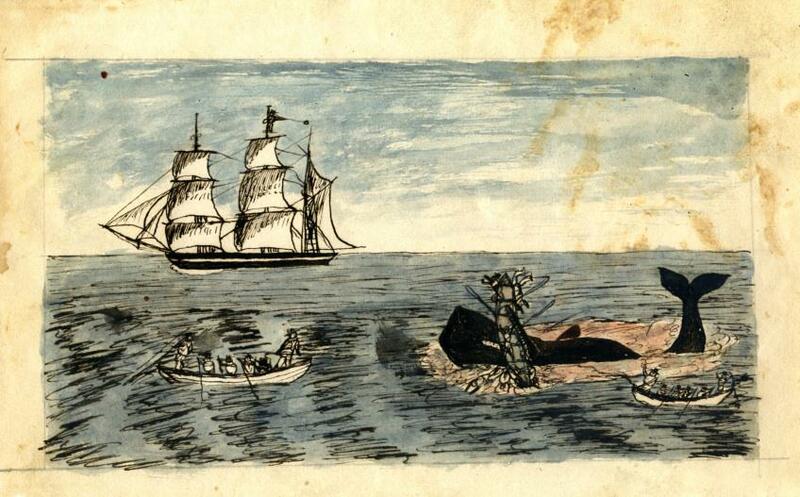 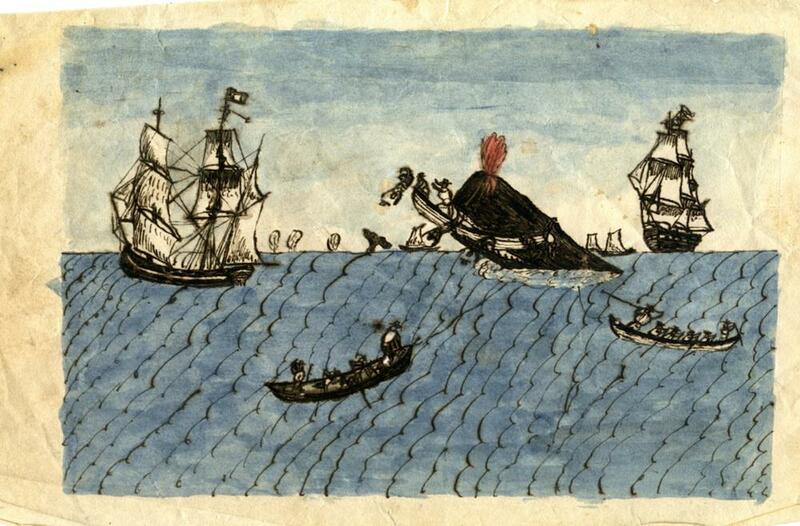 As the library’s blog post featuring images from the exhibition shows, other sailors decorated their logbooks and sketchbooks with pencil and pen drawings of shipboard scenes and fish; character studies of their fellow sailors; patriotic emblems; and (poignantly) images of houses, perhaps those they had left behind on shore. 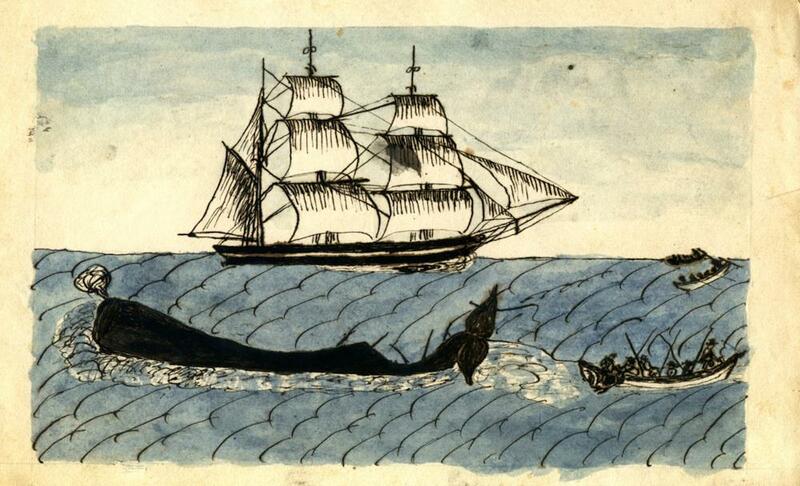 As the inscription on the drawing below indicates, Ritchie sketched the killing of the so-called “right” whale (named because this cetacean was easy to catch—the “right” whale to hunt). 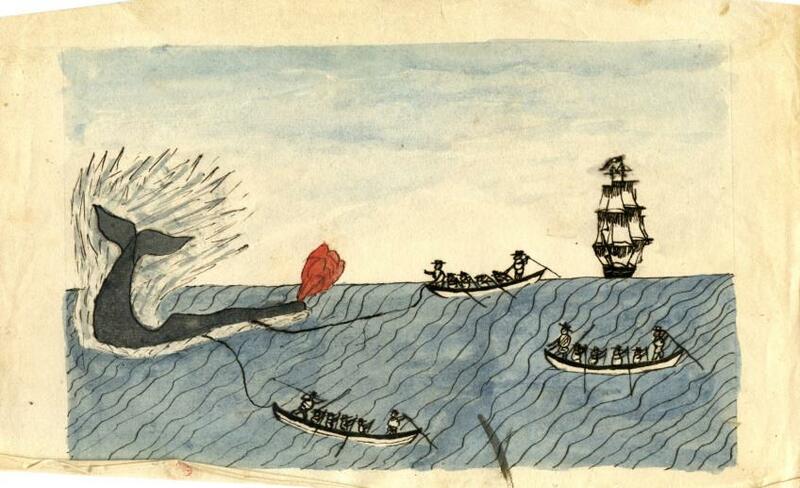 This species of whale was once the favored target of the New England fishermen, but by the time the Hector sailed on this voyage, they had been extirpated from the northern oceans. 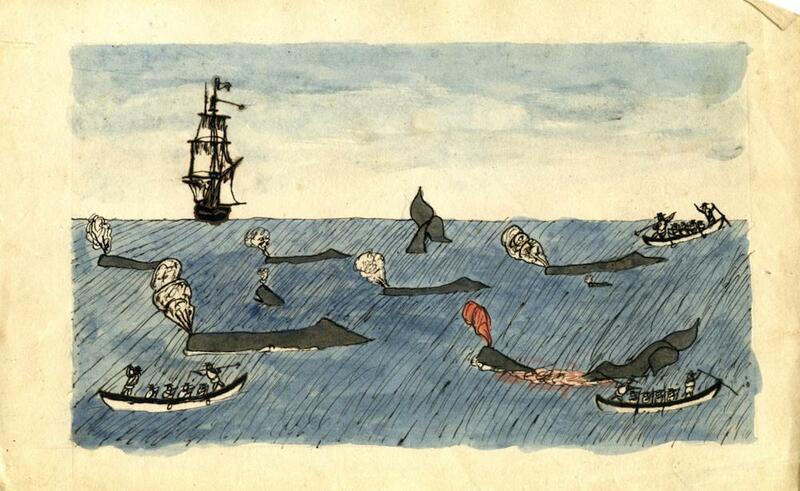 Courtesy of Providence Public Library Special Collections.